New Year's Day may have been unseasonably warm and beautifully bright, but the temperature has taken quite a dip in Delaware. But don't worry, Haley of Hayley's Paper Love has some great handmade ideas on how to conquer the chill during these cold winter nights. They include wrapping up in a handwoven scarf, sliding a crochet cozy around a cup of hot chocolate and curling up on the couch with a good book and my snowflake fairy bookmark. Celebrate a Happy New Handmade Year! Three Cheers To a Successful 2012! So lovely - blue is a such a great color for winter! Thank you for the link up! 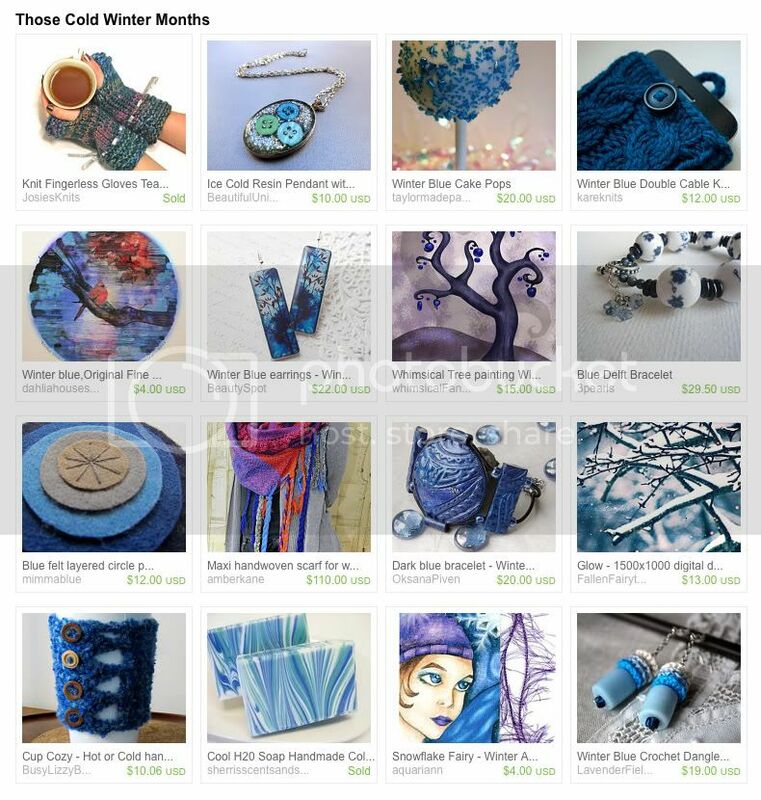 Beautiful treasury that you featured. The blues are great. Beautiful galleries! Glad to be in such good company!